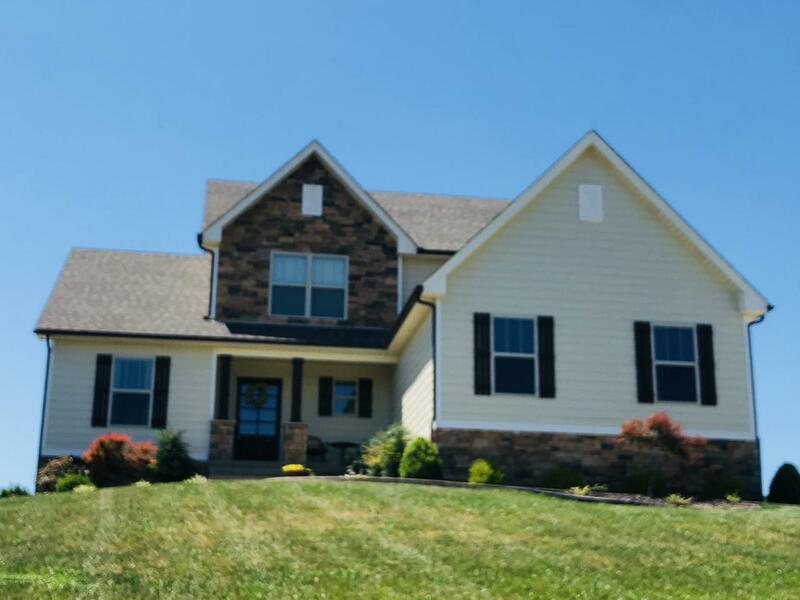 *Beautiful 4 bedroom 3 bath home* Hardie Board siding* Unfinished basement is plumbed for bathroom and studed for an easy finish. 1st floor Master BR with walk-in closet and tray ceiling* Master bath is tiled with soaker tub and double vanity* Three large upstairs bedrooms with Jack and Jill bathroom. 2nd floor bedroom with built in desk area great for study time* Kitchen with island, backsplash and large sink. Bar with 3 seats for quick meals or the dining area for family time* All kitchen, stainless appliances remain. Optional office, dining or sitting room with french doors* Huge back deck with Pergola, perfect for entertaining* Professional landscaping. The two story great room opens into the kitchen. Extended driveway for additional parking and easy turn around*Desirable subdivision only 9.4 miles to Gene Synder. There is a cubby/bench in the entry way. Crystal clear, 24' pool that is easy to maintain with automatic chlorinator. Ideal for hot KY summers. Upstairs Bathrooms have New Tile Floors. A new fire pit has been added at the walkout entrance. *This is a must see home!! Listing provided courtesy of Priority Real Estate. © 2019 Metro Search, Inc. All rights reserved.